Our professional Realtors are excited to help you with one of the biggest decisions you'll make in your lifetime -- buying or selling a home. REI Real Estate & Property Management will put our experience to work for you to make your next real estate transaction a success! 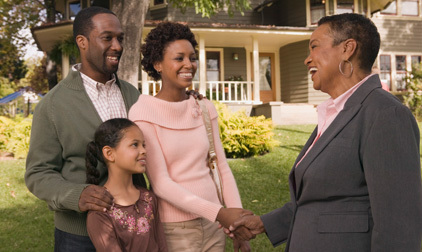 When you're ready to buy a home, it's important to partner with an agent that knows the area where you'd like to live. REI Real Estate & Property Management has experienced, knowledgeable agents all over the Twin Cities and greater Minnesota who are familiar with the area in which they serve and can provide you with important information like how the local schools rate, points of interest and more. . Our agents are committed to helping you find the property that best meets your needs and desires, at the best price. In today's complex real estate market, it's more important than ever to work with a company that understands your needs and current real estate issues. REI Real Estate & Property Management will provide you with the help you need to successfully sell your home. Our agents can provide you with a free market analysis to determine the appropriate price for getting your home sold. Maybe selling your home isn't right for you right now. Since we also have expertise in renting properties, we can also provide a rental price analysis. We'll help you evaluate potential costs and proceeds from selling versus renting to help you make the best decision. Real estate investors founded REI Real Estate & Property Management, and investment property has been a part of our business since the beginning. Whether you're an experienced investor, or just considering the purchase of your first property, we can help you make the right decisions. Get connected today with our team to help you search for a purchase that makes good financial sense. We can help you identify properties that will rent best, as well as providing financial analysis to determine potential income. Tired of trying to sell your home? Or perhaps you're avoiding putting your home up for sale knowing that you won't get the price you should even if it does sell. REI Real Estate & Property Management has created our exclusive "Rent Now, Sell Later" program to help you! We'll find a quality renter to live in your home, providing you with critical rental income that you need right now. Then, we'll consult with you to determine the best time to sell the home in the future, and when the time is right to sell, we can help with that as well. Put the Upper Midwest's leading property management company to work for you today! We'll help you Move Life Forward.